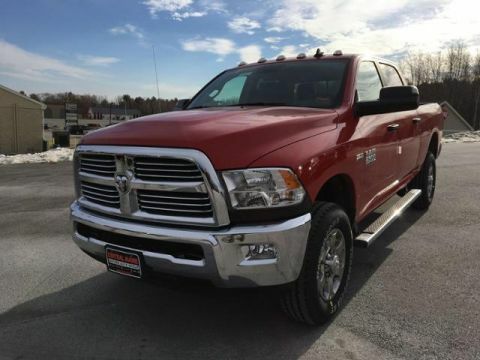 Only 6 Big Horn 4x4 Crew Cab 6'4 Box models left in stock! 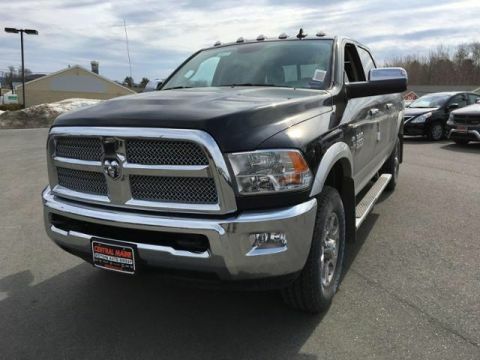 NAV, Heated Seats, 4x4, Back-Up Camera, Remote Engine Start, Alloy Wheels, TRANSMISSION: 6-SPEED AUTOMATIC (66RF... ENGINE: 6.4L HEAVY DUTY V8 HEMI W/MDS... HARVEST EDITION. 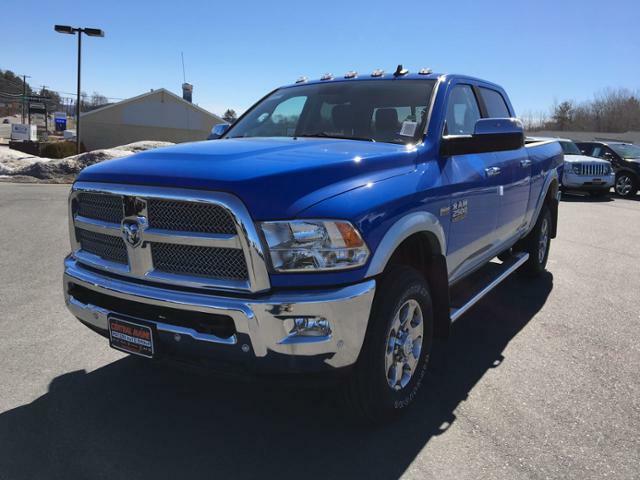 Big Horn trim, New Holland Blue exterior. READ MORE! HARVEST EDITION Body Color Fender Flares, Sun Visors w/Illuminated Vanity Mirrors, Heated Steering Wheel, Glove Box Lamp, MOPAR Rear Bumper Step Extension, RamBox Cargo Management System, LED Bed Lighting, Bed Cargo Divider/Extender, 4 Adjustable Cargo Tie-Down Hooks, Heated Front Seats, Black Tubular Side Steps, Overhead Console w/Garage Door Opener, Transfer Case Skid Plate Shield, CTR Stop Lamp w/Cargo View Camera, Rear View Auto Dim Mirror, Electroluminescent Instrument Cluster, Tow Hooks, Front & Rear Rubber Floor Mats, Radio: Uconnect 4C Nav w/8.4 Display, SiriusXM Travel Link, USB Host Flip, Google Android Auto, 5-Year SiriusXM Travel Link Service, 5-Year SiriusXM Traffic Service, 1-Year SiriusXM Guardian Trial, Media Hub (2 USB, AUX), HD Radio, SiriusXM Traffic Plus, For Details, QUICK ORDER PACKAGE 22Z BIG HORN Engine: 6.4L Heavy Duty V8 HEMI w/MDS, Transmission: 6-Speed Automatic (66RFE), Big Horn Badge, Bright/Bright Billets Grille, Leather Wrapped Steering Wheel, Steering Wheel Mounted Audio Controls, Underhood Lamp, Big Horn Regional Package, ENGINE: 6.4L HEAVY DUTY V8 HEMI W/MDS GVWR: 10,000 lbs, 11.50 Single Wheel Rear Axle, 180 Amp Alternator, PARKSENSE FRONT/REAR PARK ASSIST SYSTEM, SINGLE DISC REMOTE CD PLAYER, TRANSMISSION: 6-SPEED AUTOMATIC (66RFE) (STD).